Designed for skate or classic racing, touring and telemark boots, our orthotics for x-c boots are light, warm and comfortable. Nordic skiing orthotics have a deep heel nylon shell with rear foot stabilization providing improved power and more stable glide. The top cover is full length 3mm CelmaxTM. Custom orthotics for X-C skiers will not only enhance comfort but are also advantageous to performance. Overall, custom orthotics in Nordic ski boots will help an athlete feel more one with the skis, and their feet working together efficiently and comfortably. In skate skiing orthotics will dramatically improve the skier’s ability to get onto the edge of the ski faster and provide a more efficient push-off. Custom footbeds and orthotics will also help reduce potential strain both to the stabilizer muscles of the feet and the knees during push-off. For classic cross country skiing, custom orthotics will help stabilize and support the feet for better balance and a smooth glide across the snow. 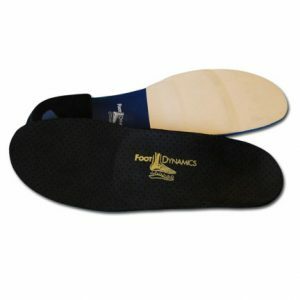 Common foot problems treated by footbeds and orthotics are arch strain, heel pain, knee discomfort and lower back ache.